Mockingbird Studios was assigned to communicate the essence of the lifestyle provided by a builder in their township in Thane, Maharashtra. The Clubhouse is a post-work hours and weekend refuge for the community and the graphics needed to add to the surrounding richness. The objective here was to keep it classy. Photographs were chosen accordingly and then the same was printed on a Avery Dennisson vinyl with Matte Lamination. Large format digital printing on HP Latex was used to ensure that green ink was used in the clubhouse. Table Tennis is an action-oriented game and the wall graphics needed to be dynamic in nature. Various poses in the game were used and the same was printed on a 3M film with HP Latex printing. The graphics were then plotter cut and installed on a painted wall. 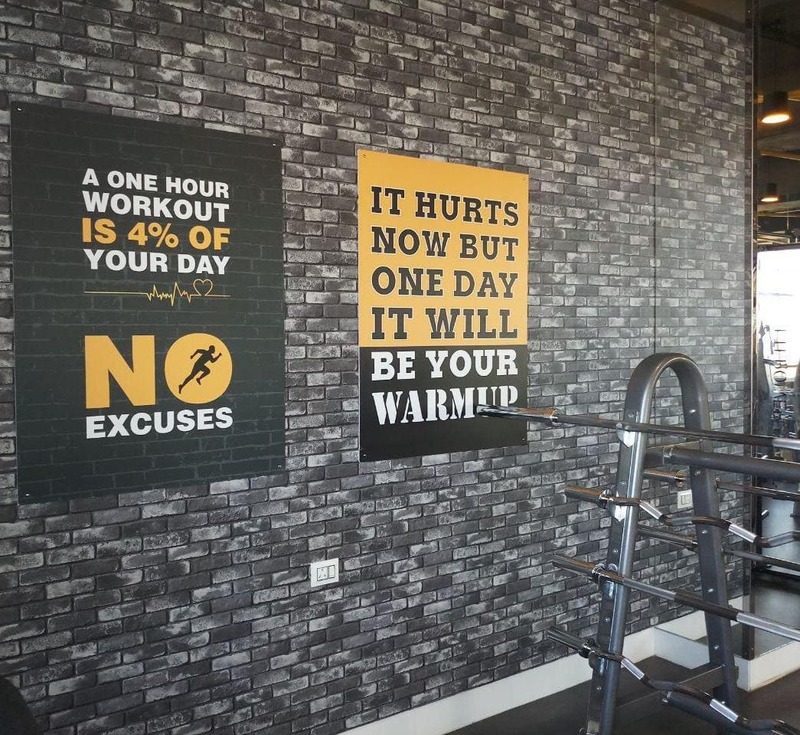 The clubhouse gym had a yellow pipe running across the ceiling and it was hence crucial to bring a tinge of yellow into the graphics. 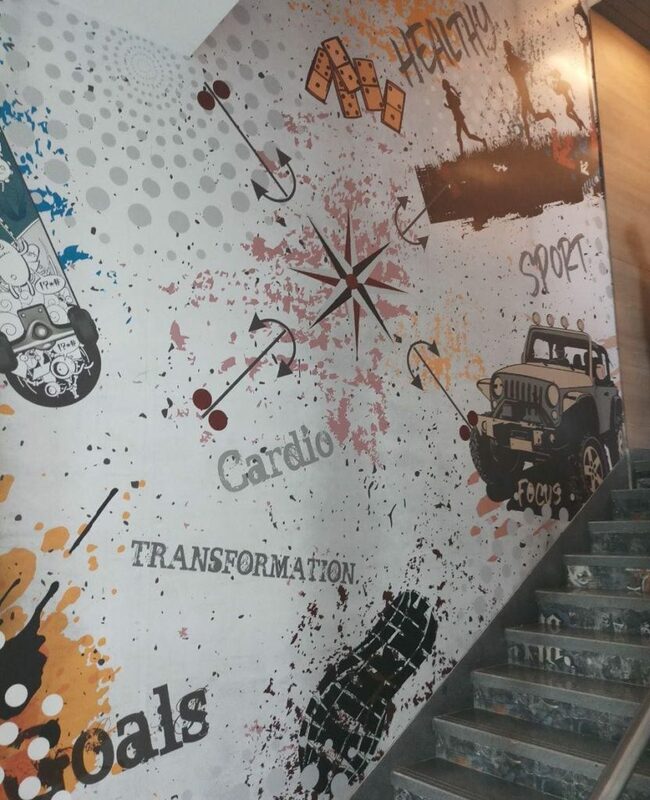 Graphics were hence printed on a sunboard and then installed using a 3M double side tape.